Congratulations! You have found a new home after what was likely months of hunting, and you finally get to move. It’s an exciting time, but it can quickly be spoiled if the previous residents left behind more than a few odds and ends on the top shelves. 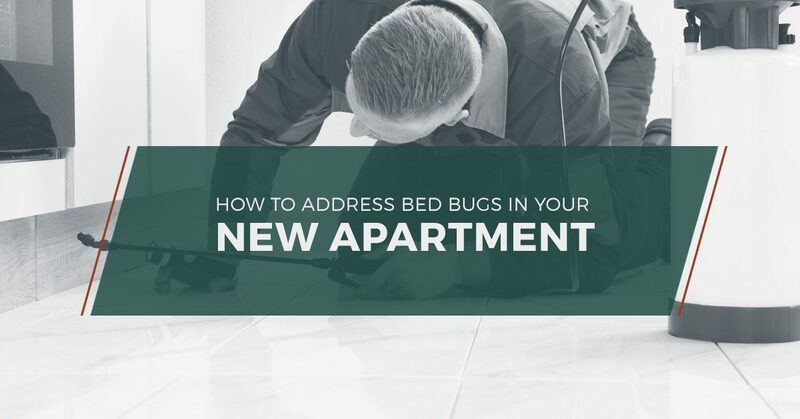 A bed bug infestation in your new Seattle apartment may make you want to start the search all over again, but there are several ways – other than breaking your days-old lease – that you can make sure the little critters don’t bother you. Northwest K9 Bed Bug Detectives offers a wide range of bed bug treatments and other pest control services for Seattle residents, from inspections to extermination. We can help make your home bed-bug free and give you peace of mind. As we mentioned in our previous blog post, a thorough inspection of the property is an important step to avoiding moving into a bed bug infestation, and we provide bed bug canine inspections with our best detective, Magic, a trained bed bug-sniffing dog certified by the Integrated Bed Bug Management Association. We also offer solutions for when you realize too late that your apartment has a bed bug problem. 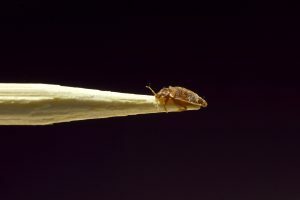 Keep reading to learn what to do when you discover a bed bug infestation and call Northwest K9 Bed Bug Detectives today to sleep easier sooner rather than later! One of the best ways to identify a bed bug problem is to use a dog’s superior senses — that’s why Northwest K9 Bed Bug Detectives offers bed bug canine inspections. Magic is more than 97 percent effective at detecting bed bugs, while even the most well-trained technicians typically only have about a 30 percent rate of accuracy. There are a few signs you can look for, however, that can indicate whether or not you should schedule an inspection. For details and more information, check out our page on the signs of bed bugs and keep reading to learn what you should do once the signs become clear. When you are renting, the line between your responsibilities as a tenant and the responsibilities of your landlord can sometimes be unclear. The best way to determine who needs to organize and pay for a pest control service is to check your lease and look up local laws and regulations. Your landlord or the property management company may cover extermination services, especially if you point out the signs before you move in or in your initial condition report. Whether you or your landlord are footing the bill, you want to make sure that you choose a pest control service that is effective. Northwest K9 Bed Bug Detectives is Seattle’s Top Rated Local® bed bug treatment and pest control company. Our highly trained canine inspector Magic can sniff out even low-level infestations and our wide selection of treatment options can help you make your new apartment feel more like home and prevent future problems. Call Northwest K9 Bed Bug Detectives today to learn how we can help!